People from the Indian sub-continent migrated to Australia and mixed with Aborigines 4,000 years ago, bringing the dingo dog with them, according to a study published on Tuesday. The continent was thought to have been isolated from other populations until Europeans landed at the end of the 1700s. 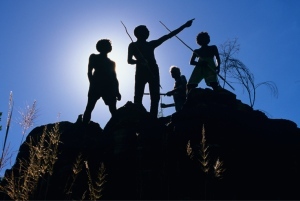 But researchers at the Max Planck Institute for Evolutionary Anthropology in Leipzig, Germany, reported "evidence of substantial gene flow between Indian populations and Australia about 4,000 years ago". They analysed genetic variation from across the genome from Australian Aborigines, New Guineans, Southeast Asians, and Indians. 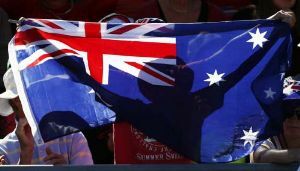 "Long before Europeans settled in Australia humans had migrated from the Indian subcontinent to Australia and mixed with Australian Aborigines," the study said. It found "substantial gene flow from India to Australia 4,230 years ago ie... well before European contact," it said. "Interestingly," said researcher Irina Pugach, "this date also coincides with many changes in the archaeological record of Australia, which include a sudden change in plant processing and stone tool technologies... and the first appearance of the dingo in the fossil record. A common origin was also discovered for the Australian, New Guinean and Philippine Mamanwa populations who had followed a southern migration route out of Africa begun more than 40,000 years ago. The researchers estimate the groups split about 36,000 years ago. Australia offers some of the earliest archaeological evidence for the presence of humans outside Africa, with sites dated to at least 45,000 years ago.